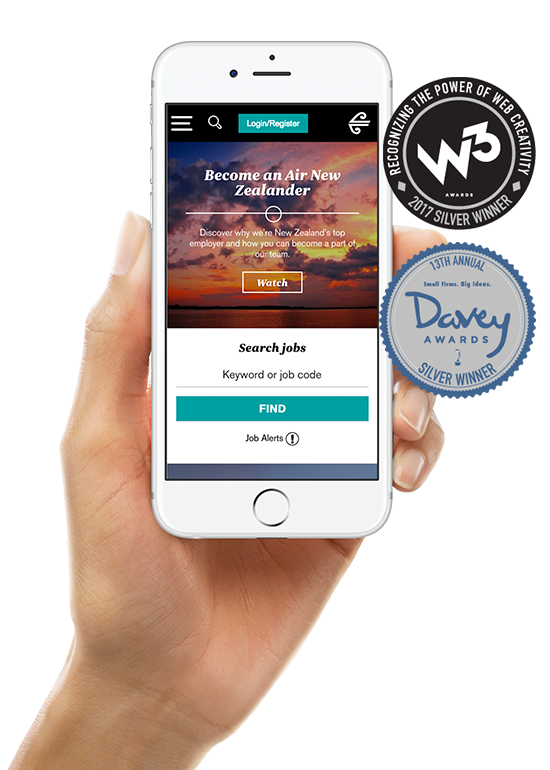 Air New Zealand wanted a best of breed careers website to suit their best of breed brand. A strategic approach defined this project. Workshops, analytics and market case studies gave insights about the goals of the business and the needs of the audiences. 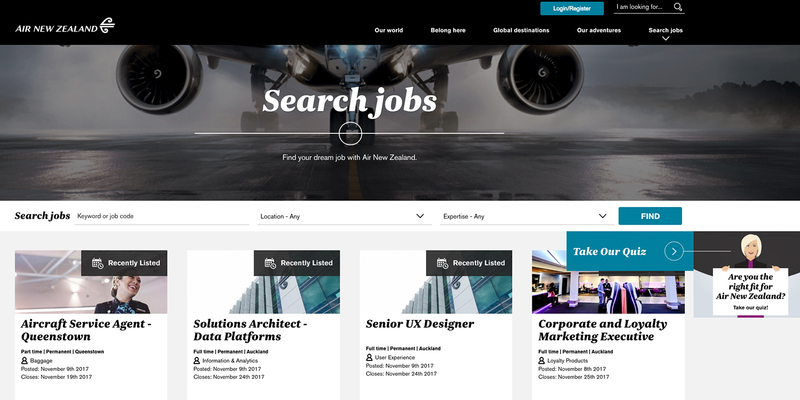 Content was developed to showcase the unique brand of Air New Zealand, but also to inform about the business units that make up the company. Content drove design, with large hero imagery, video, and flexible content blocks being created to enable rich story telling. Integration with the ATS resulted in a modern card layout for job results, and seamless user journey from content to application. 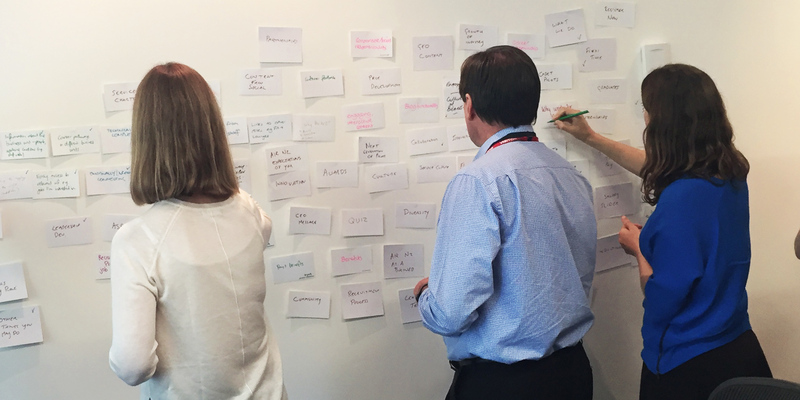 Workshops delivered insights from across the business. Wireframes were developed to determine UI. Layouts were driven by the content requirements, to optimise the user journey. Video played a key part in creating richer story telling. 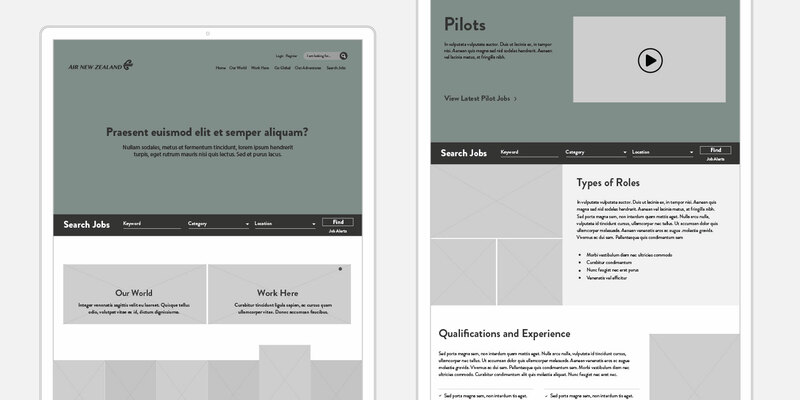 A card layout treatment was used for the job search results, giving a richer experience. Data is still being collected, but positive feedback has come from across the business and sector. The website also won two awards in 2017.